Eggs are my "gold standard" for breakfast. That being said, I get asked several times on a daily basis for an alternative to eggs. (The reasons are endless: egg aversions, allergies, egg burnout, lack of time, etc.) My first suggestion, of course, is to try to make eggs work because eggs are such an eggcellent protein (see what I did there? )...such an amazing protein in fact, they are used as the standard to measure other proteins. (To address your EGG-scuses: If it's lack of time, then make an Egg Bake or Protein Pancakes on the weekend and portion out for the week. If disliking eggs is your problem, then mix in cheese, veggies, cinnamon or whatever else you need, wash them down with a cup of coffee and get over it.) Regardless, I decided to provide an alternative so that if you can't have eggs, whatever the reason, you can still have a balanced breakfast. What I'm suggesting is a Balanced Smoothie. The best part about a smoothie is that there are SO many modifications and variations, I don't think you'll ever get sick of it. You can customize by adding any ingredients you like – just be sure to keep it balanced by including the three key necessities: Protein, Fat and Carbohydrate (PFC). Also note this doesn't have to be just for breakfast! Many of our clients stick with their eggs for breakfast, and they make a smoothie as their morning or afternoon snack. And also, as backward as this may sound, your balanced smoothie doesn't even have to be a smoothie. If you don't have a blender, just make a parfait with your ingredients. Protein: Your protein will either a scoop of Pure Whey Protein or Pure Primal Protein™, a couple pastured eggs (crack 'em and drop 'em in), or Greek yogurt (2/3 cup of a full-fat, preferably plain Greek yogurt. If you use regular (non-Greek) yogurt, then you NEED to add a scoop of protein powder or an egg). Not that anyone's counting, but ideally your smoothie should have a total of somewhere around 15-20 grams of protein. You can also eat a protein source on the side (hard boiled egg, cottage cheese, lunch meat, breakfast sausage, etc.) if, for some reason, you don't have a protein option available to add to your smoothie. Fat: Great options for healthy fat include coconut milk (2 ounces or 1/4 cup), heavy whipping cream (a couple tablespoons), nut butter (a couple tablespoons of peanut or almond butter), half an avocado (blends so nicely!) or coconut oil (a couple tablespoons). If you use full fat yogurt, you can count this as your fat, but only if it has at least 10 grams in the amount you're adding to your smoothie. Your smoothie should have around 10-15 grams of fat. Carbohydrate: This will be fruit and veggies (yes, veggies!). Keep your freezer stocked with frozen fruit so you’re always prepared to add half a cup or so, and add spinach for green color, antioxidants and fiber (it hardly affects the flavor!). Experiment by tossing in even a tomato or two. (I bet you won’t even taste them.) Your smoothie should have about a half cup of fruit (like berries) or starchy veggie (like pumpkin) and unlimited non-starchies (like spinach). Dynamic Greens: I highly recommend adding in a big scoop of Dynamic Fruits & Greens to your smoothie. This a whole foods powder for added nutrition that contains antioxidants, probiotics and has a touch of Stevia for delicious flavor. I find that people are able to add in more veggies when they use Dynamic Greens, because the sweet taste of the greens balances it out so well. Added Nutrition: Smoothies are a GREAT way for you and your kids to get your vitamins and minerals in. Use the powdered types for glutamine and probiotic, powdered multivitamin (awesome berry flavor! ), a few drops of liquid vitamin D and liquid fish oil. They mix right into the smoothie and avoid that extra step of swallowing a pill or getting your kids to take a chewable. 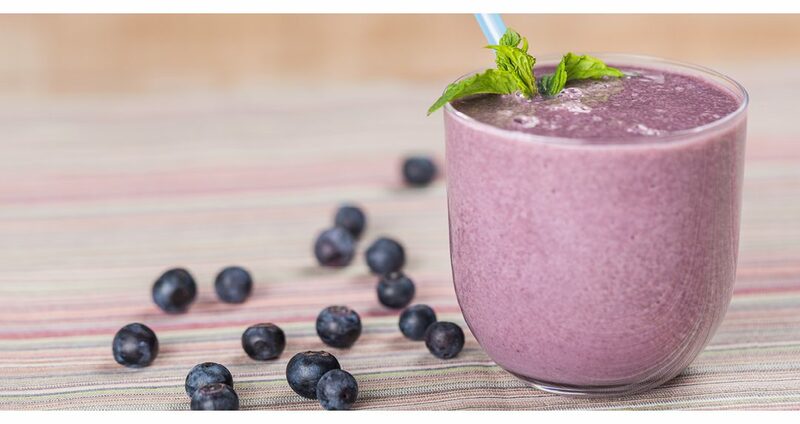 Smoothie Modifications and Additions: For added healthy fat, fiber and texture, add flax seeds or chia seeds. For lactose intolerance, use your alternatives: almond milk or coconut milk. Modify the consistency by adding more or less ice, milk or yogurt until it’s to your liking. Toss the ingredients together in the blender, or, if you don’t have a blender, combine them in a bowl for a breakfast parfait. Peanut Butter Banana smoothie: Half banana (fresh or frozen), half cup Greek yogurt, two spoonfuls of peanut butter, a cup of spinach and a small tomato with one tablespoon of liquid fish oil, a few drops of vitamin D and a scoop of glutamine and probiotic. Chocolate-Covered Strawberry smoothie: A cup of strawberries (fresh or frozen), half cup Greek yogurt, half an avocado and a full scoop of chocolate Dynamic Fruits & Greens with one tablespoon of liquid fish oil, a few drops of vitamin D, a scoop of MultiVive™ powdered vitamin, and a scoop of glutamine and probiotic. Berry Overload smoothie: A half cup of mixed blueberries and raspberries (fresh or frozen), 1/4 cup coconut milk, one scoop of natural whey protein powder, one scoop of Berry Dynamic Fruits & Greens with one tablespoon of liquid fish oil, a few drops of vitamin D and a scoop of glutamine and probiotic. Strawberries & Cream smoothie: A cup of strawberries (fresh or frozen), half cup Greek yogurt, 2 tablespoons heavy whipping cream and one tablespoon of liquid fish oil, a few drops of vitamin D, a scoop of MultiVive™ powdered vitamin and a scoop of glutamine and probiotic. Vegans (or those who occasionally choose vegan alternatives to reduce their overall animal consumption, like me) make up a large demand for an egg alternative! I quite agree that the profile of the egg should be the gold standard (go eggs! ), and appreciate that your info for a prot/carb/fat had vegan options to shoot for a balance. I'm picky about my egg sources and avoid dairy, so this article was very useful! There are many vegan smoothie blogs out there, but they tend to have fact and fiction convoluted. Thanks!